Phoenix, AZ- In spite of the fact that most offices are divided into cubicles and workstations, the floor almost always is covered with carpets. In the context that dust, dirt, grime, mold, fungus and allergens, get collected in the carpet and may affect the health of the office employees adversely, the carpets have to be cleaned thoroughly. The carpet is also an expensive investment and therefore office carpet cleaning is an important activity that has to be performed regularly to maintain it in top form. 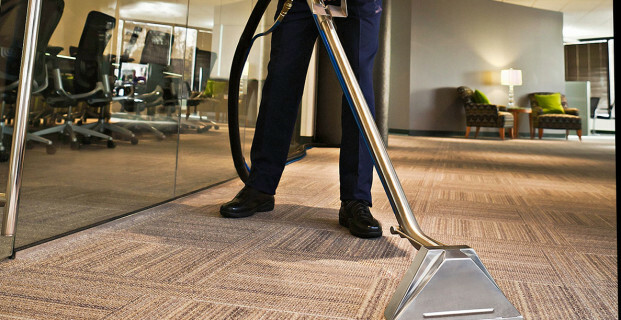 Office carpet cleaning is best left to commercial cleaning services because they have qualified and trained manpower, the machinery and equipment in place and other resources to get the job done regularly. The frequency with which the carpets are cleaned in an office depends on a number of different factors that include foot traffic, type of business, size and quality of the carpet, etc., among others. Commercial cleaning companies usually employ two methods of cleaning: regular cleaning and deep cleaning. 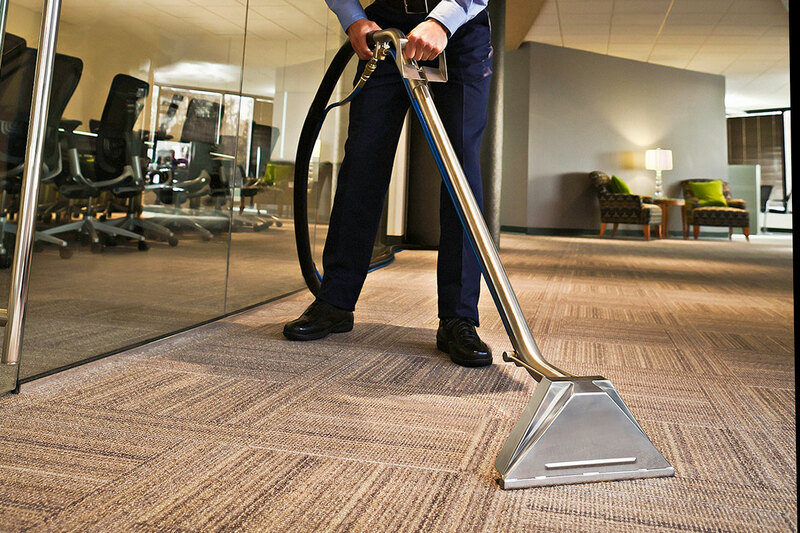 Carpet Cleaning methods for office carpets include regular vacuuming at least for a minimum of three days in a week. This helps to get rid of dust, dust mites, allergens etc. In cases where the foot traffic is very high, the carpets are cleaned on a daily basis. Vacuuming helps to prolong the life of the carpet as build-up of grime and other gritty particles tend to damage the carpet fibers. When cleaning wall to wall carpets the whole area is divided into quadrants. One quadrant is cleaned before proceeding to the next. Any spill on the carpet is immediately treated or cleaned. The spot is first blotted or scraped to remove as much of the spill as possible. Thereafter, a cleaning solution is applied and the moisture is blotted up. The deep cleaning methods are not employed often, but only once or twice a year. This number depends n he extent of usage of the carpet. The deep cleaning methods are directed to keep the carpet fibers from matting, help the carpet retain its color and remove grime. The procedure involves cleaning of the entire carpet (up to the backing) by first agitating the fibers with a shampooer. It is then rinsed with an extractor. The carpet is then left to air dry in places where there is less humidity. Otherwise, heavy duty fans and air dryers are used to remove any moisture that is left on the carpet.